If squats are the number 1 exercise than deadlifts are a very, very close number 2. With those two exercises alone, you can make a hell of a lot of progress. These two exercises work your entire body and they work it hard. In fact, if strength and just general bulk is your main objective, you can probably forgo all isolation exercises and focus on just those two big exercises and do just fine. Essentially, trap bars allow you to reap all the positive benefits of deadlifts but without absolutely killing your body in the process. Most workout equipment looks fairly basic, let’s be honest. It’s normally plain silver or black or some indeterminate shade of grey. But sometimes you want a piece of equipment that just looks good. That stands out and just has the extra oomph. If you want your equipment to have a bit of style and life to it, then CAP Barbell have you covered. You can buy this trap bar in the standard silver or black but there’s also the option for a vibrant pink colour and a metallic purple style called “electric grape”. Both colours look fantastic and both colours will really jazz up your home gym and give it some individuality from the boring sea of silver, grey and black. This bar has a standard olympic weight of around 45 pounds and can support total weights of 500 pounds. That is some serious weight and a maximum capacity that is only going to be overcome after years and years of hard, serious training. Hex bars, like this one from Titan Fitness, are also prefect for shrugs. It’s hard to really get enough weight on to do shrugs properly unless you’re using a smith machine, which is limited in many ways. It’s also likely that when doing shrugs with dumbbells, you’re likely to tax your grip strength before you really tax your trap muscles. Hex bars are perfect as you can grip heavy loads without tiring out your grip. Titan Fitness have included two separate grips for you to use, that you use simply by flipping the bar upside down. Deadlifts are one of those exercises where you can lift some seriously heavy weights. It’s extremely unlikely that you’ll be able to squat or bench press higher weights than you can deadlift, unless you have specific problems causing that. If you’re one of the bigger guys who can already lift monster weights, then this bar is for you as it can hold a maximum weight of a 1000 pounds. There are very few people who can lift even close to that. That is an insane weight capacity and a capacity that you’ll never reach. This is a good thing, you’ll never have to replace this trap bar. This is a one-time, lifetime purchase and you’re set for life. As it is an olympic size bar, it accommodates 2 inch plates which are the most common and widely available of weight plates. Now it’s time for something a little bit different. You might notice that this hex bar isn’t quite the same as the others. It features an ingenious rotating grip design which allows you to choose from three distinct grip widths/choices/sizes to tailor your training to suit you perfectly. The outer area of the bar is wider/broader which is perfect for the larger trainer as it gives you far more room. No tight, claustrophobic feeling where you struggle to stop the bar from smashing into your knees and shins. There are also rubber stoppers on the bottom of the device to prevent scratching and damage to the flooring. The elevated plate storage system is an absolute god-send. A common yet not often spoken about problem with deadlifts, is how difficult it can be to load and unload weights off/on the bar, especially if the plates or bar are scratched and scuffed. The elevated system keeps the plate end of the bar off the ground so you can easily slide the weights on and off. This hex bar is strong and sturdy and able to withstand a consistent beating without getting damaged or simply falling apart. It holds weights of up to a mammoth 750 pounds with 9 inch sleeves in order to accommodate the relevant amounts of plates. It features two choices of grip that can be altered by flipping the bar around. Both grips are diamond knurled for a secure yet comfortable grip that will help you through even the most gruelling of reps. This bar is available as a standalone product or as a package included quick-release ring collars to keep the weight plates in place. Deadlifts work your posterior chain, which is the group of muscles that include your entire back, your core, your glutes, hamstrings, etc. Many strength coaches and athletic coaches will tell you that the posterior chain is responsible for most of the power, strength, explosiveness and stability of top athletes. 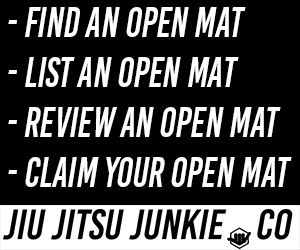 All of those are great attributes that will serve any athlete well but especially MMA fighters and BJJ athletes. A strong posterior chain allows you to keep good posture when in someone’s deadly guard and also allows you to generate the power needed when standing to go for that vital blast double when the opportunity presents itself. Deadlifts are the key to all these great benefits. The problem with deadlifts is that they can be harsh on the body. All those massive strength increases come at a cost and deadlifts just aren’t an exercise that you can realistically do more than say, once a week, before your body and CNS (central nervous system) begin to become overly stressed. 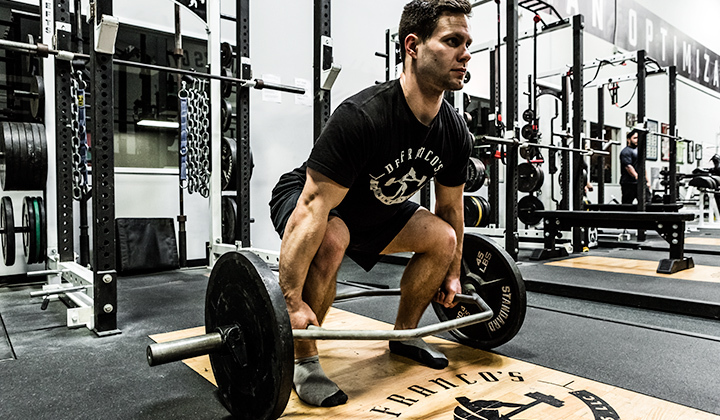 Using a trap bar, or a deadlift bar or hex bar as they are often called, is one way that you can get the benefits of deadlifts but without overly stressing your body. Deadlifts bars allow for a more neutral grip and for less stress to be placed on your back. If you love deadlifts but find that they take too much of a toll on your back, then give the trap bar a go. They put much less stress on both your back and your CNS but still give you a killer workout.